Les Amours de la Reine Elizabeth starring Sarah Bernhardt. Costumes by Paul Poiret. The Private Lives of Elizabeth and Essex starring Bette Davis. 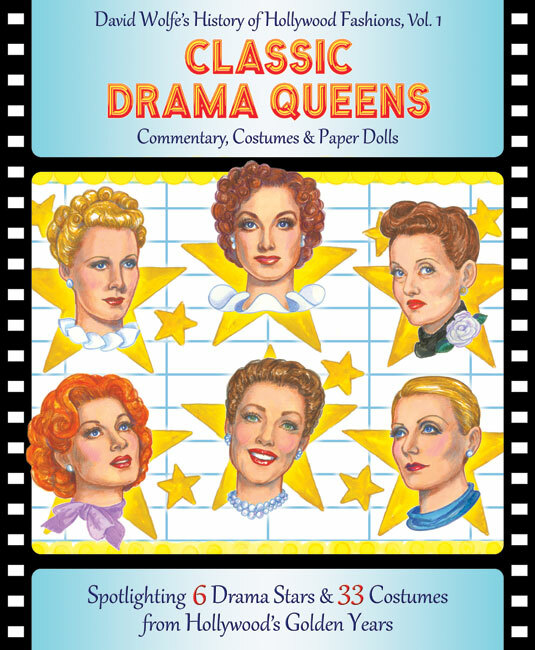 Costumes by Orry-Kelly. The Virgin Queen starring Bette Davis. 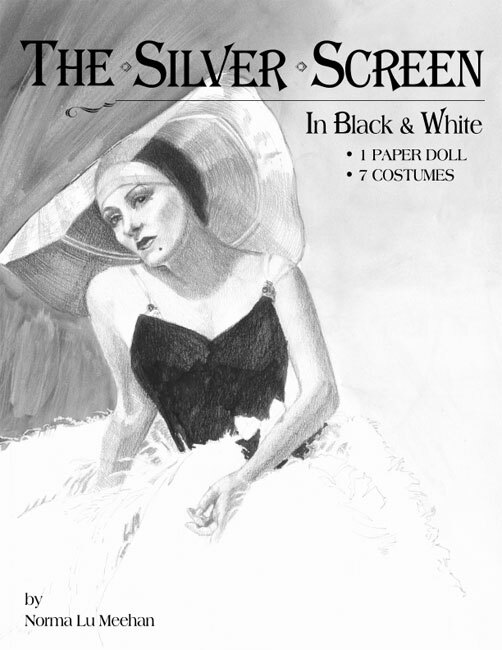 Costumes by Mary Wills. Elizabeth starring Cate Blanchett. Costumes by Alexandra Byrne. Elizabeth, The Golden Age starring Cate Blanchett. Costumes by Alexandra Byrne. Elizabeth R starring Glenda Jackson. Costumes by Elizabeth Walker. Shakespeare in Love with Judi Dench. Costumes by Sandy Powell. Anonymous with Vanessa Redgrave. Costumes by Lisy Christi. 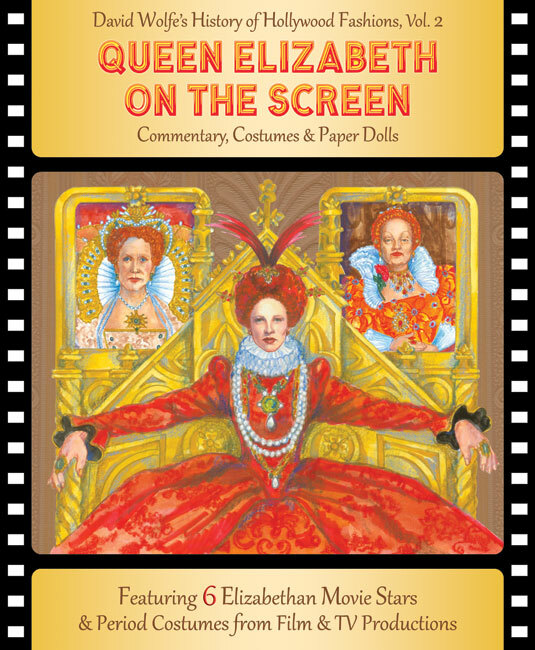 Elizabeth I starring Helen Mirren. Costumes by Mike O’Neil. 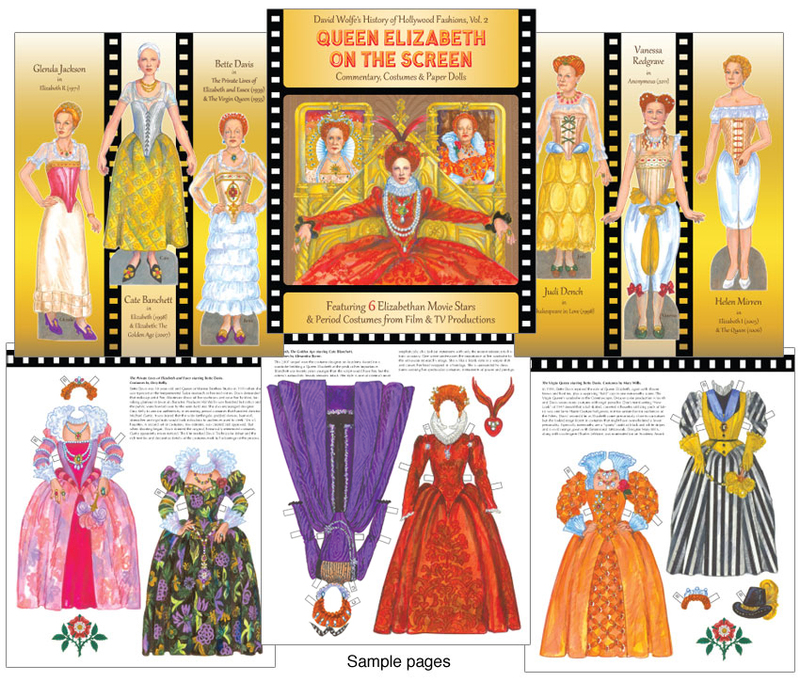 Plus costumes from The Queen starring Helen Mirren. Costumes by Consolata Boyle. 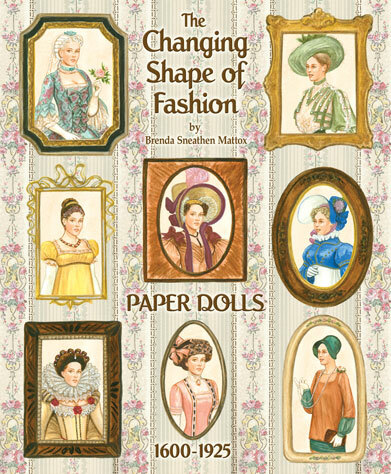 Part of a new series by artist and Hollywood fashion historian David Wolfe, this is a super-sized book with six star paper dolls on a cardstock centerfold plus ten pages of clothes!